I’m sure that I get “in the groove” at some point, but it’d be impossible to tell you how long it takes. Some times I jump in for 5 minutes (I get what I can when homeschooling and caring for 4 kids) and say “YEAH, baby! I’ve got this!” Other times, I might have the opportunity to write for an hour and I just bump along back and forth over the ridges on either side of that groove, but never fall into it. Everywhere. I’m a firm believer that inspiration is always reaching out to us if we’re willing to take its hand. Though, dreams inspired most of the stories I’ve written. You know . . . The vivid, striking kind that won’t go away? Sometimes those dreams are just begging to be written down and fleshed out! 3) When was that moment when you realized that language had power? When I was in Bible college, one of my teachers taught about the Bible and the characters in it in such a way that I felt HUNGRY to read more. Her words made the scriptures sound like a nourishing, delicious meal. I thought of God differently, characters of the Bible had a new face, and above all, it sparked a love for words and an appreciation for their potential to change lives and make people feel. It doesn’t take a great speech to change someone’s life, just sincere, thought out, honest words. 4) If you could sit down with one writer from any period, who would it be? King David from the Bible. If ever a writer knew how to touch the heart of both man and deity, it was David. And I’d love to meet a writer with that kind of passion and skill . . . Provided we had an interpreter, of course. 5) If the universal super being came down right now and said, “I give you two choices. 1 – I will give you 100 million dollars for your work, but no one will ever be able to read a word you write, or 2 – You can never ever benefit even one dollar ever off of your work, but 100 million people will read every book you ever write. Which one do you pick? I wouldn’t pick either. I’d politely thank It and decline any favors in that area. I’d do my best to be read by as many as possible and paid for at least some of it. I may never have thousands of readers or mountains of money, but at least I’d stand a chance for a balanced bit of both. Though, I’ll be honest, it might depend on the situation I’m in when I’m offered such a deal. Desperation could change that answer (especially when it comes to finances), so who knows . . .
6) When did you know that writing was what you were going to make your life’s work? Or is it? My life’s work is my children and my marriage, but I embraced writing as my art form of choice when my characters came to life for me. It flooded me with the same energy and level of enjoyment I experienced when involved in other arts that were too costly for me to participate in anymore. I started taking it seriously about twelve years ago, but it’s in the last three or four years that I committed to it. Catch up on laundry, clean out the—OH! Do you mean writing accomplishments? 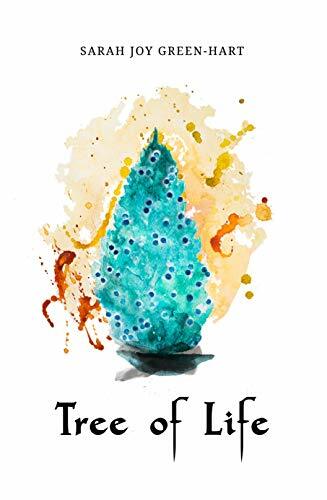 I’d love to have my first draft of the Root of Bitterness completed before 2019 (the second book in my Book of Light Trilogy, the sequel to Tree of Life). It’s unlikely but possible! 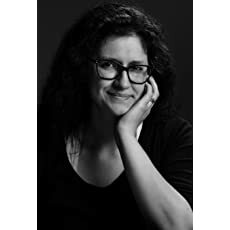 Sarah Joy Green-Hart grew up in a restauranteur family in the Northwoods of Wisconsin, waiting tables in between reading, writing, acting, petting cows, and dancing with flocks of cats. After earning an A.A. in Theology and cultivating an adequate taste for the artistic, the eclectic, and the odd, Sarah’s family–with a proper advanced warning–released the Sarah-Kraken on a gentleman with an affectionate interest in said Kraken. Sarah now homeschools four wee wolf cubs by day and howls at the bookish moon in her laptop by night with Earl Grey (and a few of his friends) at her side. A religio-political civil war destroyed democracy, and the fanatical usurpers closed the nation’s borders and instituted a theocratic oligarchy. Two centuries later, a quiet rebellion brews. Born hidden in the shadow of the forest, a young herbalist is abducted and swallowed by the toxic society that values her only for the pleasure she can provide. Two brothers, raised in a privileged military family, struggle to turn a blind eye to the violence and injustice perpetrated by the powerful leaders they serve and are destined to become. The survivor of a government massacre, a young man lives as a fugitive. A supernatural experience leads him into the arms of conspiracy theorists aiming for a religious coup. Life’s twisted road of suffering brings them together. Cultures clash, enemies become friends, faith and unbelief are challenged, and a body of leaders with the power to kill and withhold the afterlife leads the way to the light of an angry deity no one truly knows . . . but everyone hopes is on their side.